Digestion problems reasons and remedies, causes of indigestion, how to over come from indigestion problems, Astrology reasons of digestion problems, astrology remedies of indigestion, astrologer for health problems remedies. Indigestion is a very common problem in this world. Some are regular patient of digestion problem, some are habitual of taking medicines to over come from constipation, some are suffering form abnormal life style due to indigestion, Indigestion also leads to dis-satisfactory personal and professional life. Although indigestion is a common problem but it is very necessary to take proper action to cure it otherwise it may possible that the person may suffer from other chronic diseases. Indigestion is the root cause of many dangerous diseases of mind and body. Gas problems seen in the patient of indigestion. Diarrhoea seen in the patient of digestion. Acidity is also seen in indigestion case. Pain in stomach also create problems in life. Constipation also seen in indigestion patient. Digestion problem doesn't arises suddenly but it is the result of careless and no attention towards daily life habits. Here I am trying to show some core reasons of indigestion problem. Actually it happens due to weak digestive system. Irregular daily routing is very important reason of digestion problem. Irregular habit of taking is also an important factor which cause indigestion. Over eating is also very important reasons of indigestion. Keeping the stomach empty for long time also arise digestion problem. Eating spicy food daily is also dangerous for digestive system. Habit of enjoying alcohol is also very harmful for digestive system. Heavy use of chocolates is a major cause of constipation who has weak digestive system. Tea and coffee is also not good for health if it is taken too much and empty stomach. Milk also cause indigestion if the digestive system is not powerful. Late night taking dinner is very problematic. Not taking fiber in food will sure create indigestion. Depending on fast food will sure create chronic digestion problem. Not doing physical work is a very big reason of indigestion. Not taking proper sleep also causes digestion problems. As per my experience I have found that if the 6th house of kundli, 7h house or horoscope and 8th house of birth chart is not powerful or if they are malefic then the person faces indigestion. As per yoga science if the manipurak chakra is not working or if the energy of that chakra is not balanced then the person suffers from indigestion. If the lagna or Ist house of horoscope is not good then it also arise digestion problem. At the time of mahadasha of any malefic planet it is sure that person will face health problems. Weak planets will also generate problems of indigestion. As an astrologer I have analysed many horoscope and daily I also read horoscope of patients and I have seen that if the planets are weak then it also shows that the person have weak internal power due to which digestive system also gets affected. Not getting fresh early in the morning and due to that facing uncomfortable daily activities. Headache problems also seen in patients of indigestion. Dis-satisfactory sexual life also seen in patients of indigestion. Sluggish behavior also done by these types of persons. Shying behavior also seen in society by the persons facing chronic digestion problems. Not enjoying the out world openly by these people. It is said that precaution is better than cure so if you don't want to face digestion problems then it is good to follow the given suggestions in this article and if you are suffering from indigestion then also you will get advice to cure it. First of all make habit to go for walk in morning and evening. Engage yourself in some type of physical activities like out door games, exercises. Don't use vehicle for short distances, use your feet. Avoid fast food from daily routine life. Leave the habit of alcohol and cold drink from daily routine. Chew the mouthful properly, don't swallow it in 2 or 4 bite. It is dangerous. Use Papaya, Banana, Curd which is good for health. Drink water as per requirement. Use fibre in food or you can use Isabgol as an alternate of fibre vegetables. Learn the techniques of yoga from experienced scholar. Contact ASTROLOGER for proper analysis of your horoscope to know the planetary reasons and then follow the instructions. So here I have provided the best knowledge for safe and healthy life. Hope my readers like this article and share if you think it is valuable for people. Contact ASTROLOGER for proper solutions of chronic diseases from astrology. Get proved techniques and trusted on-line consultancy 365 days. Barley is a very good and healthy food and thus for the decades it is being used by people to live a healthy life. As per ayurveda it is easily digestible and make the body cool. Barley is a very good source of vitamins, minerals, iron, antioxidants, fibre etc. It is very useful for he blood pressure patients, diabetics, fat patient, heart patient etc. 1. If you are facing digestion problem, diabetes problem, blood pressure problem, cholesterol etc then make the flour of Barley, Wheat and Gram and eat the chapatis of this mixed flour, you will be surprised by seeing the changes in health positively. 2. In the summer days Sattu of Barley is a panacea to get relief from harmful heat rays. It cools down the burning sensation and help to maintain the temperature of body. It is used with Mishri and water. Take the flour of barley, besan, powder of orange peel, turmeric and gulabjal. This Rouge/ubtan is a good paste for getting a fresh and healthy face and skin. So to over come from digestion problem, constipation problems and beauty problems do include barley in daily life. 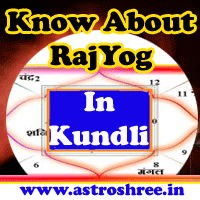 Click Here For Minute analysis of your horoscope/kundali/birth chart and remedies of problems through astrology through ASTROLOGER ASTROSHREE. How To Save From Heart Attack? Lemon Tea To Cure Indigestion.